When there is a papaya in the house, my kids eat every bite and don’t want to share. They scrape the fruit right down to the rind, without leaving any trace of the soft orange pulp. Curious, I bought this one for myself to find out what makes it so special. I now understand why Christopher Columbus described the papaya as the fruit of angels. What I did not know before is that you can eat the nutrient-rich seeds. 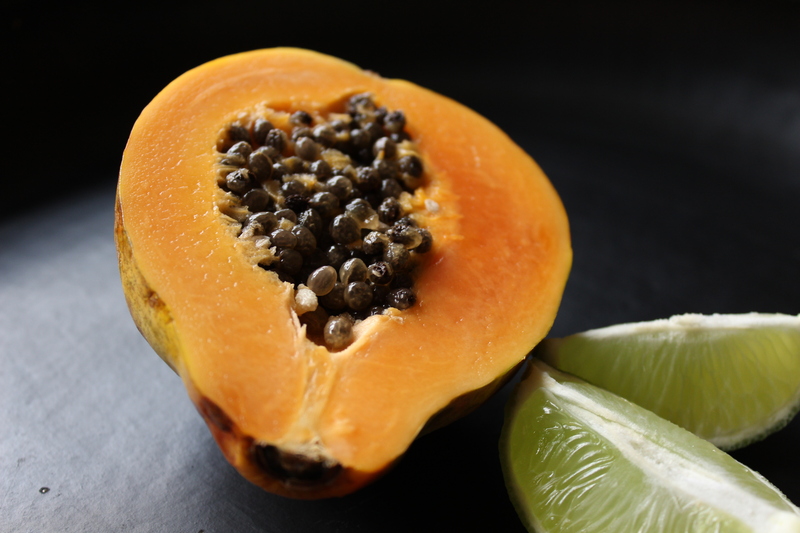 I also learned that papayas are an excellent source of digestive enzymes, which help break down protein to make the nutrients more readily available for your body to use. I kind of feel inspired to make some papaya salsa to go with fish tacos this week although I wonder how much of it my young friends will put on their tacos versus spoon straight into their mouths. I guess the “how” does not matter. On day 13 of this 365 day project, I ate my daily five. Did you enjoy yours? p.s. If you avoid genetically modified organisms, be sure to buy organic papayas.